This post has been inspired by a wonderful resource recommended to me by Leslee, our Literacy Leader at CLPS: Guiding Readers and Writers, by Irene C. Fountas and Gay Su Pinnell. Making topic-specific texts available for students, in a variety of formats, is integral to achieving success with engaging young readers. I find it challenging to consistently engage low literacy students who need extra scaffolding to find success in Reading Workshops in guided and independent work. This post contains some ideas for fostering your struggling readers’ approach to independently selecting, reading and engaging with literature, thus supporting their continued development in reading. Direct, relevant and regular feedback is the single most important teaching practice that we can employ as practitioners. Giving lower-level readers the opportunity for regular 1:1 teacher-student conferences is therefore of utmost importance. I also utilise our morning meeting roster as a conference roster for my struggling readers, letting them know when I plan to read with them (informally, or formally assessed). Regular feedback at home, combined with a daily routine, is equally as important as feedback and engagement with reading in the classroom. Supporting parents with the home reading process is something that I focus on in my initial meetings with them, and continue to deliver feedback on during the year via parent-teacher interviews and report comments. Unfortunately, for some of my students, this has proved to be the most challenging aspect of our reading program. One technique I have used to cater for different reading abilities is seating them with confident readers in the classroom. I often find that any research-driven, whole group learning activities, are best supported with these mixed ability pairs. By strategically placing students in the classroom, I support elements of my practice and encourage less willing readers to emulate their peers’ reading behaviours. Setting high expectations and a firm routine is essential to preparing lower-level students for independent work. Uninterrupted guided reading time with other ability groups is essential to individual student progress; it should not be comprimised by students who find it more difficult to begin independent tasks. I often check-in with my lower-level group at the beginning of each reading group to check that they have the materials they require, and that they are aware of the expectations for the learning activity. This extra support teaches them the skills needed, over time, to become independent learners. 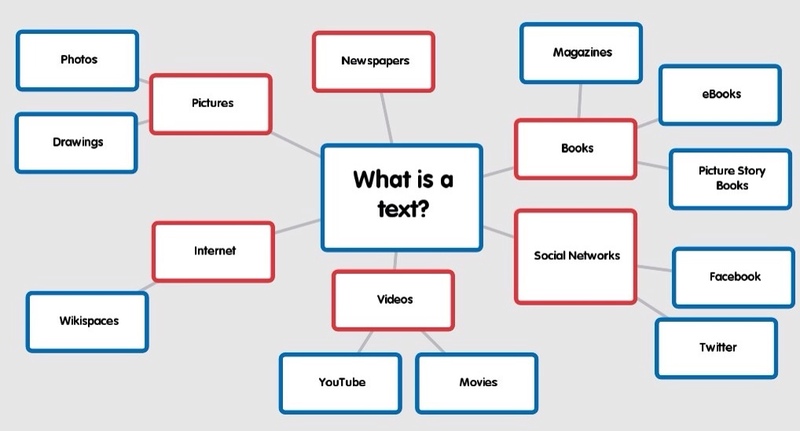 A variety of text types (linked to your integrated/project-based) theme for the unit you are teaching, gives students more opportunity to become involved in the books around them and increases the possibility of engaging students by sparking a personal interest. As well as sourcing books from the school library, try placing relevant hyperlinks online (for example, via a class wiki) where all students can access relevant information from anywhere, any time. Having books available in the classroom encourages new reading options for students enjoying independent reading. Lastly, one more technique I have recently implemented is the ‘Post-it Book Review’, whereby students who have read a topic-specific text in the classroom write a few short sentences on a large post it note about why they enjoyed the text. Other students can then choose books based on their peers’ reviews. I have really enjoyed reading their reviews too! As always, I’d love to hear your feedback in the comments section below. 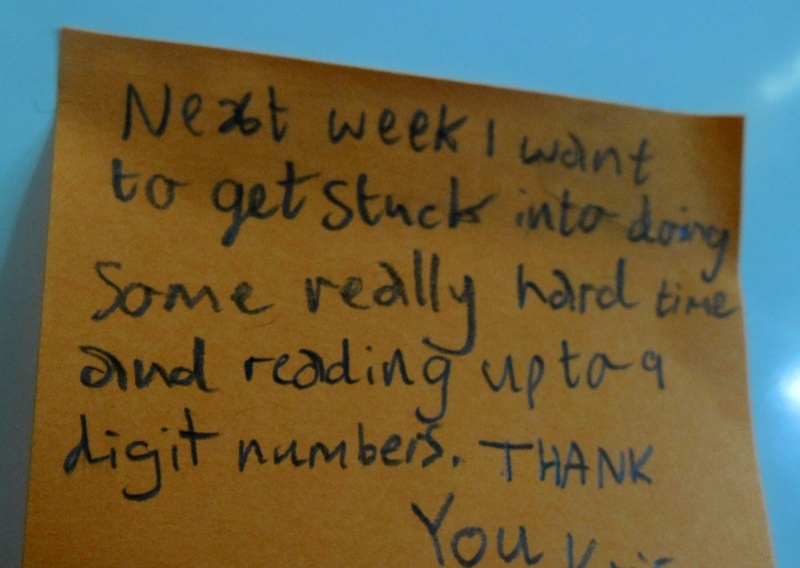 What challenges do you face when teaching reading in your classroom? Which strategies have you found useful in supporting your struggling readers? Are there any tools/resources not mentioned here that you have found success with? This term, I have been trying to give my students more voice in our classroom learning environment with regards to the way we go about things and the tools we use to demonstrate our learning. I think this has stemmed from the Personalised Learning approach we have taken as a whole school this year, and my efforts to embed the purposeful engagement of the approach in every facet of my practice. In a recent post I discussed the Morning Meeting that we share every day and the positive impact it has on our daily program. In this post I'd like to share a ten-minute, Friday afternoon tool that is promoting reflective thinking, goal setting and student voice with positive results in our classroom. I look at the last hour of the week as a valuable time for reflection, sharing and wellbeing, rather than an excuse to stop learning and run to the games cupboard. I find it interesting that in Australia we spend so much time focusing on getting our students to school, on time, then only to not value every minute of the day that they are in the classroom. During the last hour on a Friday, students relax and choose their working space in the classroom. They then discuss and choose two relevant sentence starters that they finish in their learning diaries. 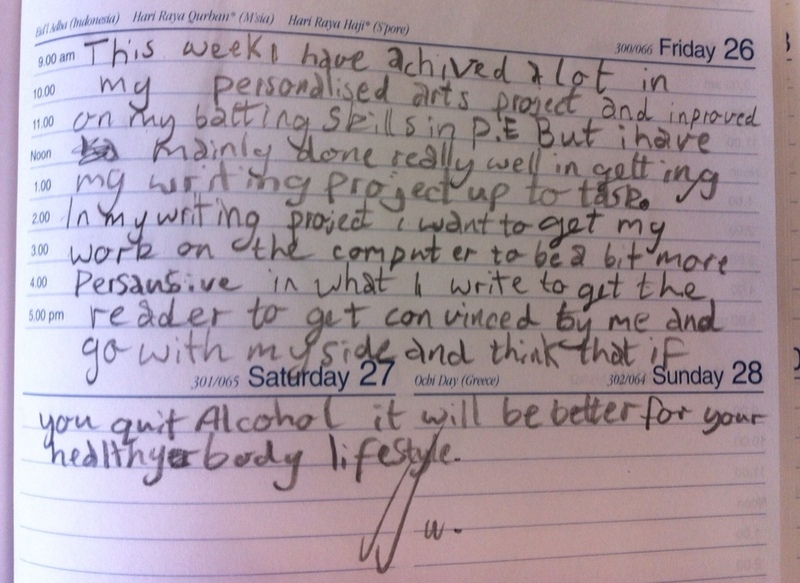 Their learning diaries are accessible in the classroom whenever they need them to set goals or reflect. Once they have finished their reflection and goal setting (and received instant feedback via a quick conference) they take a post-it note and write a 'wish' for the following week – this might include an area that they wish to learn more about, an iPad app they would like to use or a Writer's Workshop they think would benefit their project. Not only does this feedback help me with purposeful, targeted planning for the next week, (usually an hour on Sunday afternoon gives me time to organise my thoughts! 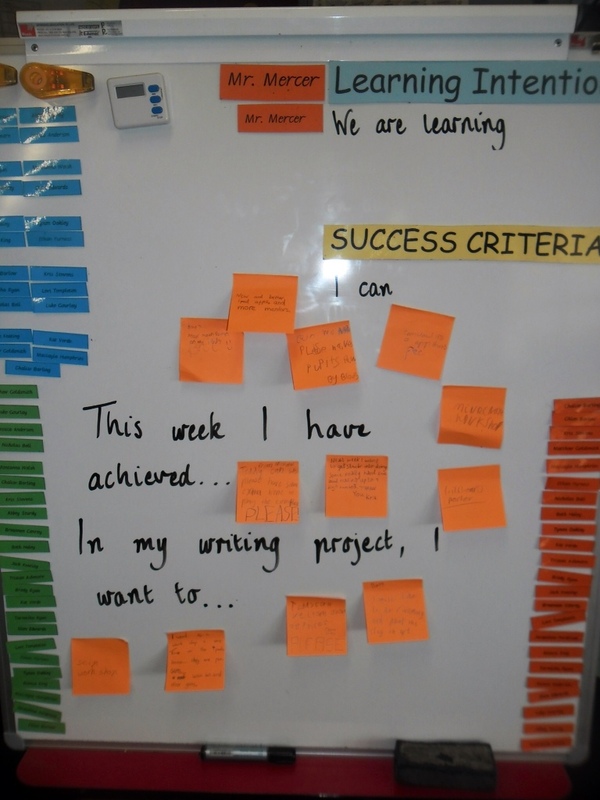 ), but the students know that their opinions count and they can see this in the following week's learning. I hope this reflective tool encourages some valuable learning time and reflection in your Friday afternoon classrooms and has a positive effect in your daily program! What reflective tools do you use in your classroom? What other strategies do you have to promote student voice? How do you give students some ownership of what they are producing in the classroom? I'd love to hear your suggestions, thoughts, comments and reflections in the space below. I have taken some time to edit and share a resource that I have modified and use in the classroom on a daily basis. A big thank you to my colleague, Catherine Barnes, for introducing me to this one last year in my graduate year! I often begin my guided reading sessions/reading workshops/running records by asking my students to verbalise the strategies that will be most important when we read together. I also send home a spare with my home readers. This bookmark is a great way of encouraging each student to always ‘bring their strategies with them’, and includes prompts to help them recall important reading skills. I add a visual to one side of the bookmark and have the word prompts on the opposite side in the corresponding rectangle. 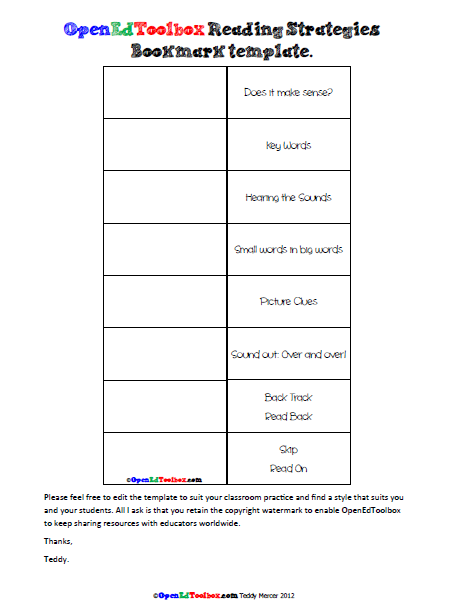 You can download the Reading Strategies bookmark template here. Please feel free to edit the template to suit your classroom practice and find a style that suits you and your students. All I ask is that you retain the copyright watermark to enable OpenEdToolbox to keep sharing resources with educators worldwide. What quick, easy strategies could you share for recalling and using reading strategies? Do you have any quick tips or great tuning in ideas to share? What I’m Reading – October. I managed to keep the balance between school and personal reading over the holidays. Here are a few that I am enjoying at the moment. After seeing a huge amount of discussion about this book between educators on Twitter, and having discussed it with a few members of my PLN, I was keen to see what all the fuss was about. I have already found the content to be relevant to current practice, and the arguments to be concise and well explained. I love the analysis of the revised taxonomy early in the book. It is a must read for any teacher who wishes to expand their understanding of how our students apply their thinking and knowledge in everyday context. This was also recommended to me by a member of my PLN. Claxton is touted as one of the UK’s leading academics and thinkers on creativity, thinking and the brain. I’m not finding that this is necessarily a text that I can pick up/put down (as I like to do), and that is making it quite heavy going. This has lead to me being slightly out of touch with Claxton’s argument. Having said that, there are some interesting points raised that have made me reflect elsewhere in my studies and discussions with my PLN. Hopefully I get a chance to follow this up in more detail in a future post. I have been reading as many accounts of South American travel as I can in the lead up to my big trip next year, and this 90’s gem from journalist Matthew Parris was no exception. It is an extremely well-written, gripping, often humorous tale of his experiences in and around Peru in the late 80s. If you are planning on any travel yourself, a great idea is to read as much as you can before you go. It is exciting and incredibly informative, I have added so many travel plans since reading this book! I’ve been a little bit sneaky here, because I’ve actually been too busy to start this one. However, I have read The Leopard (another of Nesbo’s thrillers) and I am convinced this book will be worth the wait. As the cover indicates, if you’re a fan of Stieg Larsson’s Millennium Trilogy you will enjoy this series too. The dark, twisted plots aren’t for those with a weak stomach though! Twitter has been a great tool for me so far in terms of receiving recommendations from other educators. However, it is difficult to keep a record of great texts to read that everyone can access. For this reason, please use the comment space to share what you are reading, and any other recommendations so that we can all comment and enjoy! 5 Awesome Excuses to Publish, Publish, Publish! 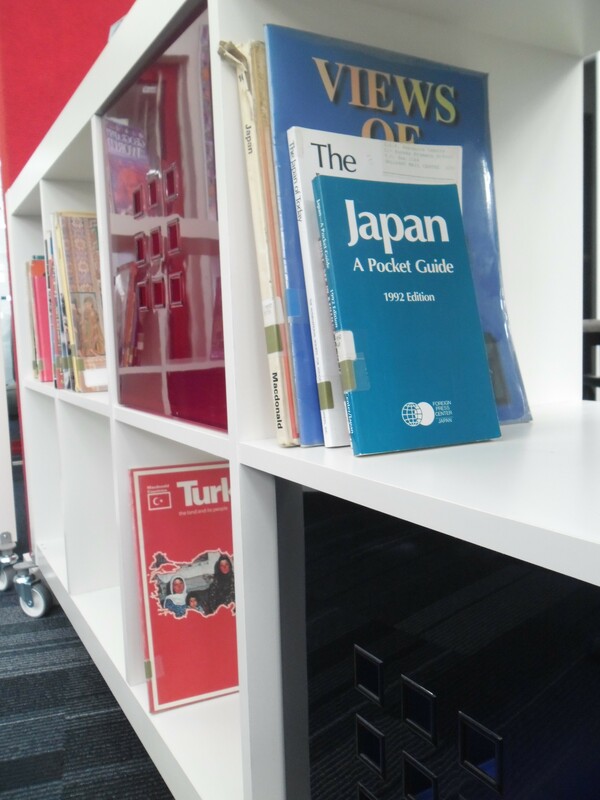 In an earlier post I wrote about publishing for a purpose, and giving students the opportunity to choose from a range of publishing tools/types to suit their writing. I have received some amazing feedback on Twitter and Facebook from my loyal PLN, and from my colleagues too. Here are some of the most talked about publishing resources I have discovered in the last few days. Answergarden – Probably the best brainstorming, jigsaw tool that I have found all week. This site allows you to create a question for students (or staff!) and monitor their answers using the generated link. I love having this on the smartboard while small groups of students add to the brainstorm via a shared netbook. No sign-up, no obligation. Try one out here! Flipbook – This tool is awesomely simple to use: create, export. It is as simple as that. Students can create a digital flipbook and export it as a GIF file to their email. I love the idea of this being integrated into a mixed-media publishing approach – e.g. students publish their flipbooks to their wiki or blog page. 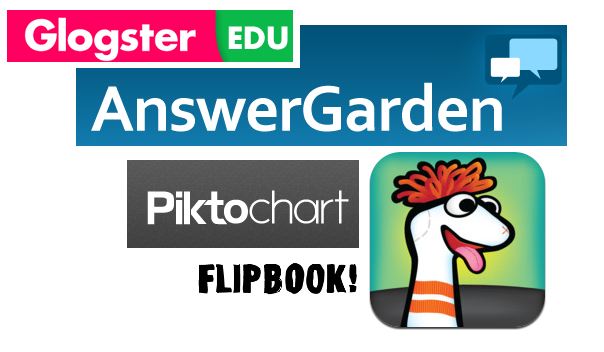 Piktochart – An infographic creator tool that offers three basic templates and a video tour for students, which I think is a great starting point to introduce the topic. I am really excited to try this one out in the first week of Term 4, I’ll keep you posted! Glogster – A big thank-you to Hana who posted this on the OpenEdToolbox Facebook page! I have not used Glogster in the classroom (yet!) but their .edu address offers simple templates which students can use to create an interactive poster including music, video, text and even data-attachments. Thanks again, Hana! Sock Puppets – I owe another thank-you to Mary (Follow her @Mj0401Mary) who shared her experiences with this app in the comments on one of my posts. There are heaps of similar apps out there for iPad to animate and record, but I’m sharing this one because it looks great and I think Mary deserves a mention! Search Cube – This one is a research tool, not a publishing tool. It is extremely cool though. My students love it! Give it a click! I am also looking forward to posting about the shake-up of my classroom design and changes to my literacy block in Term 4, I’ll keep you posted! Enjoy the last days of Term 3, Aussie teachers! To everyone else, keep up the good work! Have you successfully used any publishing tools in your classroom that I haven’t discussed here? Share them in the comments section below. Relevance or Replication? Publishing for a Purpose. First of all, sorry for the delay between posts. End-of-term-itis (self-diagnosed), combined with a major whole-school event and a master’s assignment, have pushed any potential ideas for sharing to the back of my mind. I’d like to share some of the thoughts and reflections I’ve been considering lately while my class have completed several writer’s workshops, individual student/teacher conferences and ultimately, published pieces of writing. All too often, certainly throughout my late primary and secondary education, the term ‘publishing’ has given too much emphasis to word-processing a finished piece of writing, adding a nice title and a bright yellow, unreadable form of ‘Kahootz’ font. I quizzed my students on what they thought ‘publishing’ was, and was fairly unsurprised to hear similar responses. In fact, my apologies, because this Popplett doesn’t do their original answers justice; they were much more detailed! It turned out that after all of the immersion, they did know about different types of text (with a few more than me, to boot). They were nearly as stoked as I was. This brainstorming activity had even more benefits, it encouraged us to to share some rich ideas and discussion about how we could mind map or categorise this information (see my post on graphic organisers). I followed this success with questions about why people publish their work in different ways. Trust me, some of the attention-seeking YouTubers prompted some very interesting responses! This set the basis for the discussion that we have been having this term – what are the ways in which we are able to publish our ideas? As the title and introduction of the post indicates, I began to feel that students simply typing their work wasn’t enough to consider it ‘published’, and I wanted them to feel this way too. After all, if a student has already conferenced with me, received feedback and refined their writing – isn’t word processing it just replication of that final handwritten product? ‘Fireworks! Excellent! Fantastic!’ I beamed, ‘Here is a year’s supply of stickers!’ After all, isn’t this what we want our students to be doing with their learning? Understanding how to use the tools that we have got at our fingertips to do something better, cooler, more awesome. Instead of replicating, we are generating something new each time, constantly adding new angles and ideas. This is what I call publishing for a purpose: turning old ideas into new forms that encourage people to become switched on by our way of presenting and thinking. Look closely and you’ll notice that the Asian countries leading the way in regards to testing aren’t achieving the same creative outcomes in entrepreneurial capabilities as Australia and the United States. I’ll reflect on this in more detail in a future post. 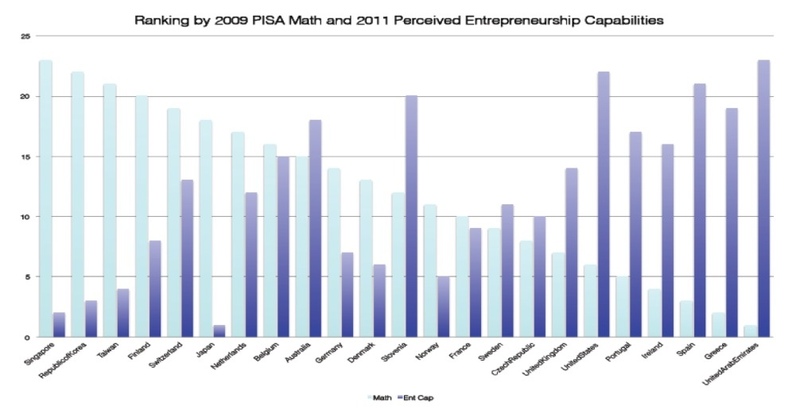 For now though, we have success among creative entrepreneurs in our education system. Let’s encourage our students to continue publishing ideas in these new and exciting ways. Of course, this idea of presenting our knowledge doesn’t just stop in the literacy hour, it extends into every area of the curriculum. 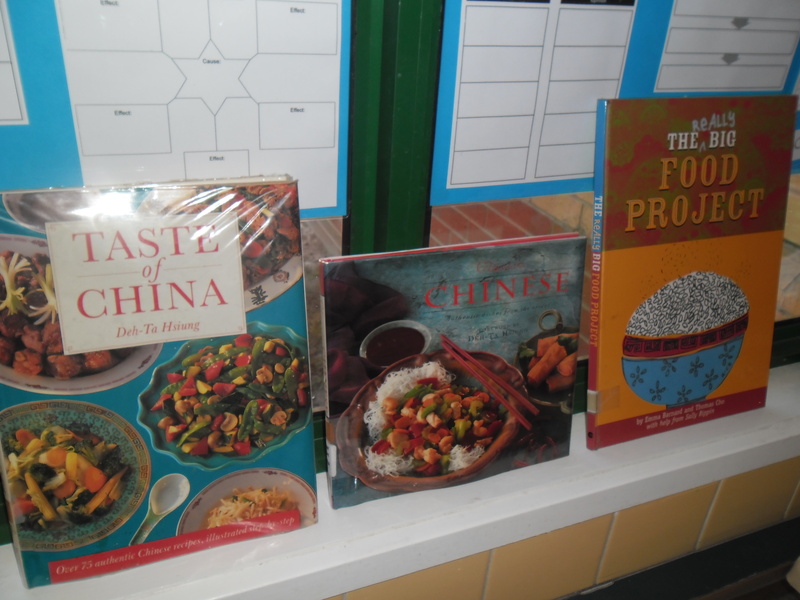 This publishing focus was begun after students were immersed in the inquiry writing process for Term 1, and spent time learning revision and editing techniques in Term 2. I invite any responses and feedback to this post as I would love to see what you are doing in your Literacy classrooms and offer some feedback of my own. What is working for you in your literacy classrooms this year? What have your students have really taken hold of and enjoyed? Are there any publishing resources that I haven’t mentioned here worth sharing? Okay so I’m writing this post to avoid doing my master’s assignment, but I thought it would be interesting. 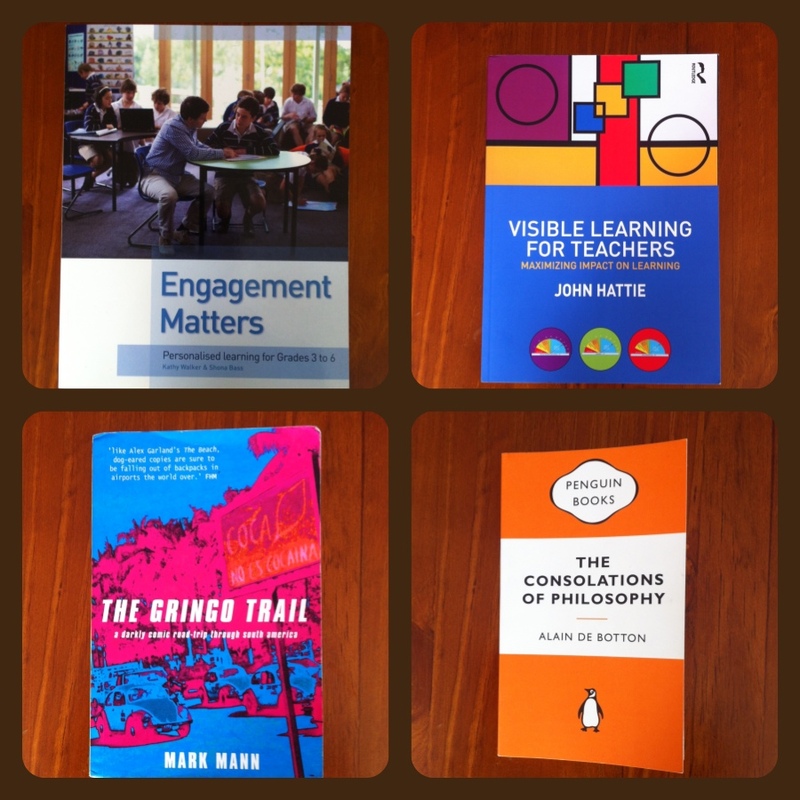 I always tend to be reading a few books at once, I like to try and keep a work/life balance and I’m always appreciative of the books that I can pick-up, put-down (such as Hattie’s brilliant Visible Learning adaptation below). Ballarat has a top-notch selection of commercial book retailers and various second-hand book stores, my favourite being The Known World in Sturt St – I can spend hours in there! Anyway, listed below are some of my current reads. This inspiring resource is a follow-up from Play Matters, and offers educators an overview and step-by-step instructions and resources for implementing the Personalised Learning approach in your school. I read this book at the beginning of the year and find something reaffirming and new every time I come back to it. A practical guide for all teachers which I highly recommend. Speaking for itself as ground-breaking research, me and my colleagues aptly refer to this book as ‘The Bible’ (Which leads us to ask, ‘is John Hattie God?’). Dispelling myths about some strategies, and providing concrete evidence to support others, this is a book that I constantly refer back to throughout the year to affirm and inform my practice. Pulled off a dusty shelf in the ‘Travel – South America’ section of The Known World, this account of three friends’ journey across the turbulent continent has been a stepping stone in my future travel plans for 2013. This book lends itself to the rich history, culture and drama of a range of South American countries and inhabitants. De Botton has recently become one of my favourite authors. He has an extraordinary capability to work philosophy and its thinking into layman’s terms. He does this by exploring some of history’s great (and sometimes not so great) characters and exploring their lives in incredibly succinct, relevant detail. In The Consolations of Philosopy, De Botton offers consolation for: Unpopularity, not having enough money, frustration, inadequacy, a broken heart and difficulties. He is also author of a number of other subject-specific books. Until recently I used Fishpond for my online orders. A colleague has recently recommended Book Depository for their quick postage and excellent prices, but I cannot speak for them myself. Please use the comments section to add any feedback. I have posed some questions below to help with discussion. 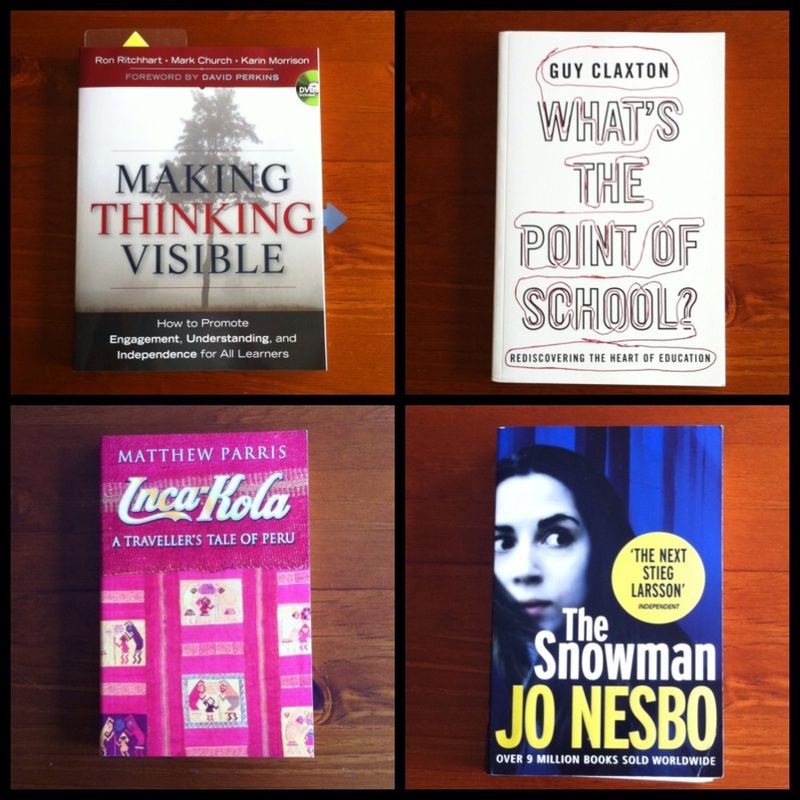 What is on your teacher bookshelf at the moment? Have you got any particular educational researchers/writers to recommend? Have you found this post useful? Please share your feedback in the comments, I am always on the lookout for a good read!